Trendy cocktails and copper mugs are cool but, alcohol aside, some ingredients can be dangerous. We've already been warned that drinking cocktails out of copper mugs may be dangerous, but it turns out that there other potentially poisonous combos when it comes to trendy bar creations. 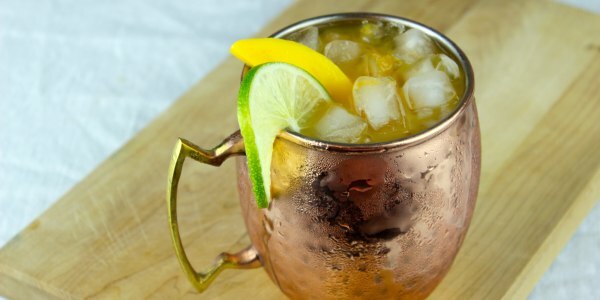 In 2017, when the Iowa Alcoholic Beverages Division issued an advisory warning saying that pure copper mugs are bad drinking vessels, a darkness fell upon the makers of pretty cocktails like Moscow mules and wintry spiked ciders. Thankfully, the advisory clarified that the mugs are safe as long as the insides are lined with a different metal, like steel, or another material that acts as a barrier between the copper and the beverage. Unfortunately, copper isn't the only potentially harmful material being used behind the bar these days. Instagram-worthy cocktails are in, so experimentation has become a trick of the trade for many avant-garde mixologists. From flaming drinks — like the ones that set customers on fire at Gordon Ramsay's restaurant — to various herbal concoctions, many bartenders are pushing the limit between tasty and potentially toxic. Bergamot, a floral citrus fruit that's similar to a bitter orange, for example, makes for a tasty libation. But it also has the potential to cause burns and blisters if it comes in contact with skin and is then exposed to sunlight for a long period of time. Celery, dill, parsley and other citrus fruits like limes can also cause this condition called photosensitivity. 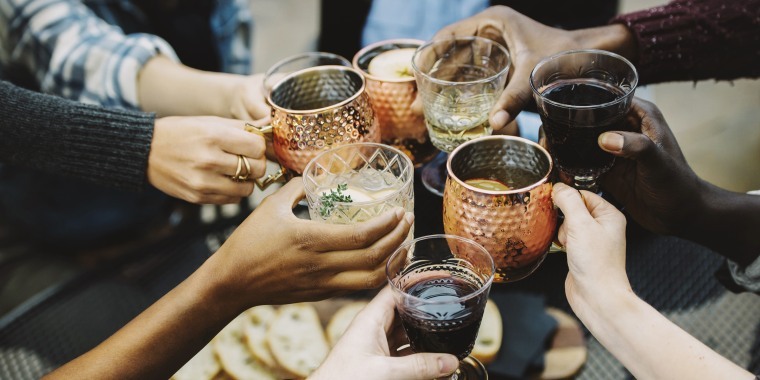 There are dozens of other potentially hazardous ingredients circulating the mixology scene, including wild ginger, various types of flowers, licorice, nutmeg, mushrooms, sassafras and tomato leaves. In addition to ingredients, certain drinking vessels — like old tiki or ceramic mugs — may have traces of lead in the glaze. But don't swear off happy hour just yet. Camper English, a San Francisco-based drink writer and alcohol expert, created an encyclopedic-like solution to navigating potentially harmful ingredients: CocktailSafe.org. The website is intended for bartenders, but it is also helpful to consumers perusing a bar's drink menu or for those who enjoy crafting new cocktails at home. Cocktails are back: Learn how to make a Savannah Sunrise! The site has an A-to-Z index of ingredients, tools and techniques that may produce negative effects if handled in a certain way, used in a particular amount ... or used at all. Each item (currently, there are about 60, though CocktailSafe.org is a work in progress) links to an ingredient's page, which describes how it's typically used, why it may be harmful and, if applicable, how to use it safely. Camper told TODAY Food that he also provides the "legal and health status" of ingredients, Food and Drug Administration (FDA) recommendations, and links to articles to support evidence. "I started thinking more about cocktail safety a few years ago when a woman in the U.K. was served a shot with liquid nitrogen in it, and had to have her stomach removed in order to save her life," Camper told TODAY. "Luckily, incidents like that are incredibly rare, but I've known bartenders who've made themselves ill with tobacco-infused alcohol and homemade tonic syrup, and many recipes for bitters and infusions in old cocktail books from the 1800s often call for ingredients that have since been disallowed for use in food and beverages in the U.S."
Camper says he thinks that tobacco is one of the more disconcerting ingredients being used today in new craft cocktails containing alcohols like rum or whiskey, since (depending on the amount) ingesting it delivers more nicotine into the body than smoking. Another trendy ingredient that's been celebrated by the wellness community may actually do more harm than good. Activated charcoal may give drinks a spooky black color but due to its absorbent properties may make any medication you take less effective. Camper hopes bartenders will use his site as a free resource to guide them when exploring a new recipe. Today, whenever he sees something of concern on a menu, Camper sends the bar or restaurant a "polite email" linking to the ingredient on CocktailSafe.org and will also provide some healthier alternatives. "So far, that's been very effective," Camper said.